Bahubali – Indian Version of The Lord Of The Rings? 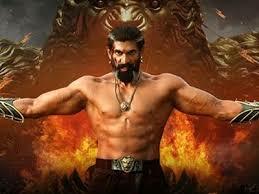 A Lot have been said and more so had been written about the first Indian encounter with mammoth movie making, Bahubali broke all the records and questioned Bollywood If they have the guts to make a movie where the sets and the sound editors will be the star. The sets and sounds will mesmerize you to an extend that you will forget about the characters playing the parts. My reason to watch Bahubali-2 the conclusion was not to get an answer to the question “Kattapa ne Bahubali ko kyun Maara/Why Kattapa killed Bahubali”.. As I have not seen part one, for me the hype was just a mere media created myth. Was it really that good? The answer was right across the street in cinema near me. The time I entered the theater, sitting in the first row my first instinct was to compare it with The Lord of the Rings. I tried ignoring but it got better of me. VFX team get full points for such a great work from huge kingdoms, farm lands to Ox with burned thorns where Lord of Rings had horses and other super natural animals, Director of Bahubali stuck with the animal like elephants that were used the most in the Indian History. Not to forget the wild hog that were created for the hunting scene or the one’s pulling Bhallala Deva’s chariot. The thing that would catch attention in Lord Of The Rings and would disappoint you in Bahubali is the Story !!! It’s time that we create good stories around superb visual and Sound effects. Where Lord Of The Rings take you to a journey beyond kingdoms and time , Bahubali still talks about the story from the past with a touch from Mahabarata. Haven’t we heard and watched it like many a times since childhood , Brother conflicts , back stabbing and Love Stories with a hint of Dharma. Does that ring a bell? Some would disagree saying that it was Hollywood way of storytelling and this one is ours. They follow the history they have seen and listened to and we follow ours.But I feel the art of storytelling has to be beyond anyone’s imagination , We should not follow the history as it is , rather we should twist it and turn it in a way that it keeps the audience on their seat excited and anticipating. Few scenes like the one in which Bahubali and his fighters used the banyan tree to reach the castle or the scene where they created a huge water reservoir would really make you believe that S.S Rajamouli has been on lines that no other director would have thought off but still the LOTR would be ultimate fictional journey on big screen with dragons and unicorns making you say Wow !!! Also the mistake our cinema has been making since the beginning is always displaying a larger than life characters on screen which a LOTR would not do, a dwarf will not suddenly going to be so powerful as a Bahubali to fight dragons or to use power of the ring to be invincible. That is where Bahubali lacked to capture the audience nerves because audience have changed, they don’t believe in super humans anymore , they believe in individuals that lack power but still rose to the occasion when required. That is where I would have liked Frado Baggins more than Amarendra Bahubali. Also only a good thought off story line will allow you to have freedom of expression to create a prequel or a good sequel, after a story is a hit we can’t just think about a prequel or a sequel which Bhaubali has done to some extend but as the story line was weak , the second part didn’t come out as good as the first whereas LOTR had seen two sequels and then with Hobbit three more prequels which were a success as well. I would not steal a pinch of credit from SS Rajamouli and his team for this brave effort but we have a long way to go as group of creative individuals to know where to change the script and when not to add something in an already lengthy screenplay. Our stories should be different and drive us to use VFX as a medium of expression such as a song. 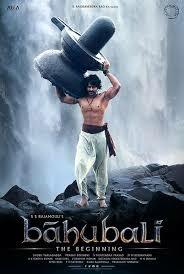 Having said that, still Bahubali as a brave and magnificent effort would still be the Great India Version of LOTR !!! !